If you are planning to build a new home or building you will be required to make the necessary applications for permits. Absolute Surveys can provide the required plans as well as provide construction layout and final surveys. Absolute Surveys will prepare a Plot Plan of your proposed house layout (within an existing engineered grading plan) for the building permit application. The plan illustrates the location of the house within the applicable zoning set-backs, including footing elevations, and surface grades of the lot. This plan is part of a Builder’s Package that includes an excavation stake-out, footing check, and final RPR survey of the constructed dwelling. 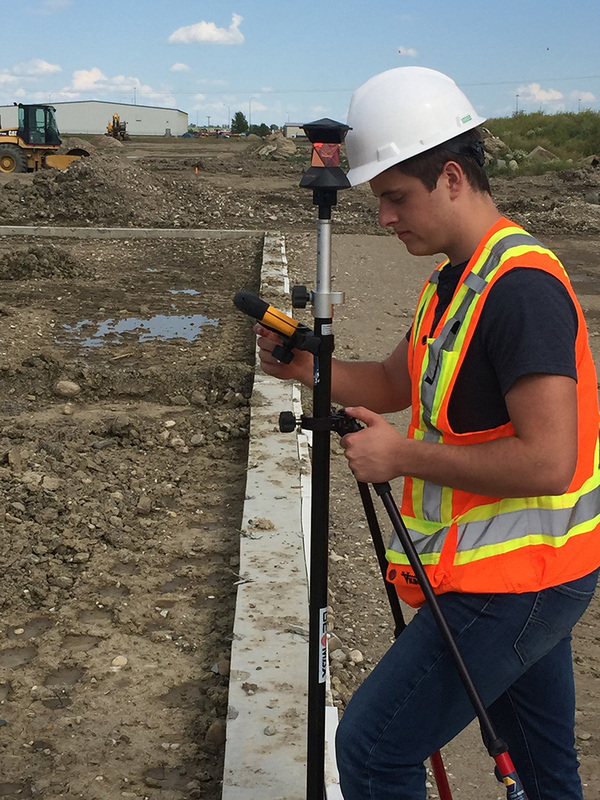 Once the house has been built and the lot has been graded, Absolute Surveys is able to provide a lot grading certificate that shows how your lot was graded in comparison to the approved plan. Whether you are an experienced home builder or an individual home owner, building in an area where municipal services are not available is becoming increasingly regulated and complex. Absolute Surveys will work with you and the local municipalities to assist you in fulfilling the requirements in obtaining a permit to begin construction. We can provide site plans showing the proposed location in relation to the property boundaries and topographic plans showing existing elevations and grades. We can work closely with other disciplines such as architects, geotechnical engineers and septic system specialists to complete your project. We offer complete construction layout services to ensure accurate location and elevation of the building, features and relevant grades. 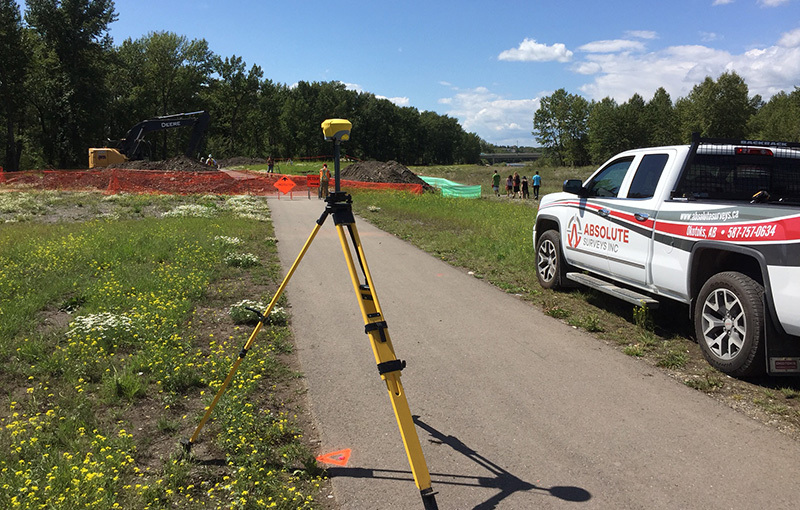 Absolute Surveys Inc provides construction survey services for a variety of construction projects to ensure that locations and elevations are accurate. Preliminary surveys for original ground/topographic information and as-built surveys for final construction. Contact us to discuss the requirements of the local municipality, and your project requirements, and we can customize a package to suit your needs.